Diptyque Protective Moisturizing Lotion for the Face SPF 15, 1.7 oz. 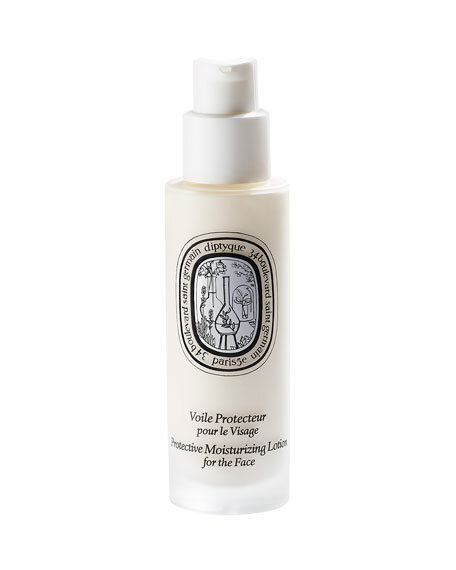 DiptyqueProtective Moisturizing Lotion for the Face SPF 15, 1.7 oz. Moisturizes and refreshes the skin while protecting from external factors with SPF 15. Apply to areas where the skin is exposed and delicate, including the face, neck, décolleté, and hands. Orange Blossom extract hydrates. Vine root extract boosts radiance. Floral extracts soften. Diptyque Skincare formulas contain no parabens, phthalates, artificial colors, TEA, DEA, PEG, PPG, silicone, aluminum, or sulfates. For in-store inquiries, use sku #227487.